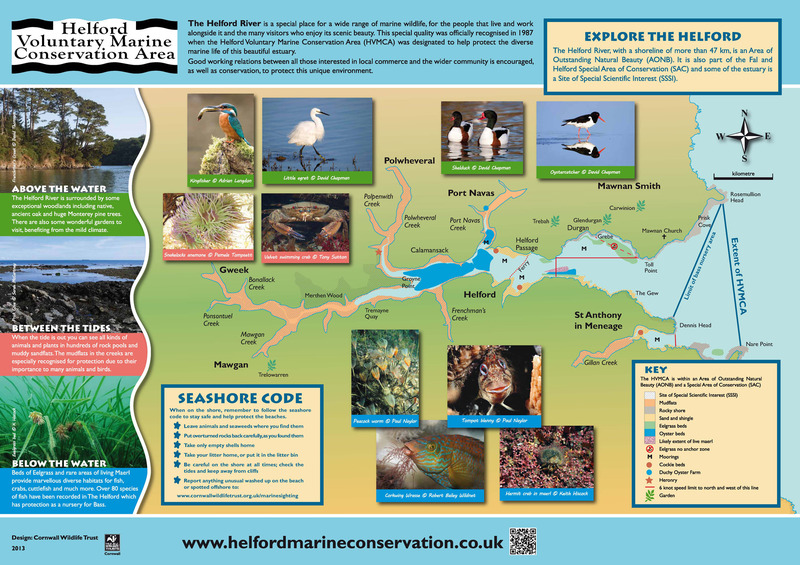 To mark the 25th anniversary of the Helford Voluntary Marine Conservation Area in 2013 we are replacing the old HMVCA boards around the river. There are currently 11 of these boards at key access points on both sides of the river. 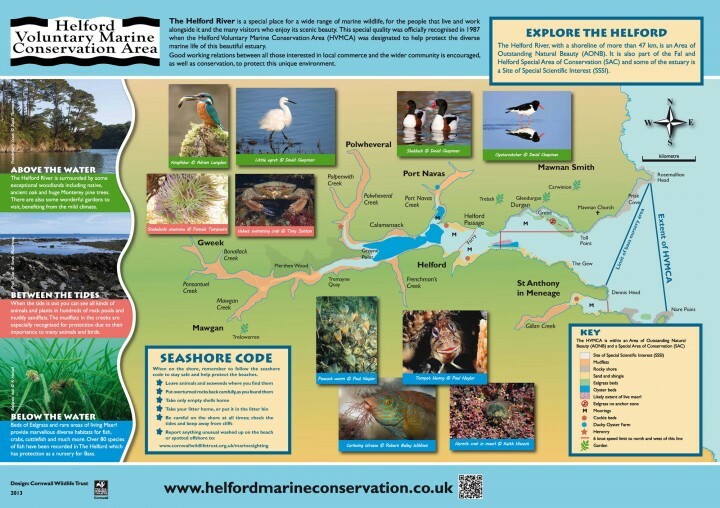 This is the new style of board, designed by Sarah McCartney at the Cornwall Wildlife Trust and incorporates special features of the river-above the water, between the tides and below the water. We are hoping to fund all the new boards from sponsorship and are most grateful to several local companies who have agreed to do this. However, we do need more and would invite anyone who is interested in sponsoring one or more boards to contact us for details. The name of the sponsor would appear on their board.